As we have commented previously, the main feature of the Boutique Hotels are their own personality. These hotels have design interiors, modern architecture and cozy rooms which are refreshingly decorated, with attention to detail, all this to make us feel at home. So, These hotels certainly opt for subtlety and finesse in each guest room. This can be observed in details like furniture, bedding and the best use of the available space. 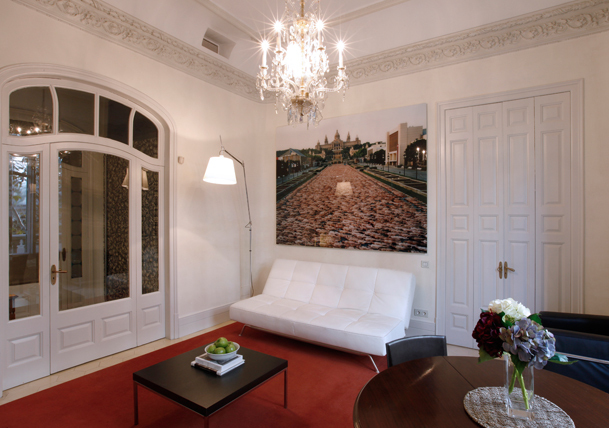 Such would, for example, be the case of Hotel Boutique Ca la Maria in Barcelona. This hotel trust on contemporary art, so guests will find comfortably luxurious hotel rooms and a private collection of modern and contemporary artists from Barcelona. Clearly, one of the best way to find out some artists of this city. If you haven’t stayed in a Bed and Breakfast yet, you should do it in your next trip.